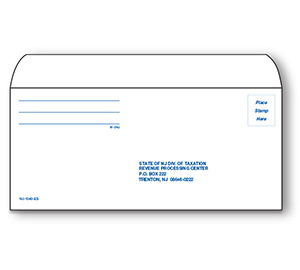 White 4 5/8" x 9 1/2" State Envelope with blue printing. White 6" x 9" State Envelope with blue printing. White 9" x 12" State Envelope with blue printing.